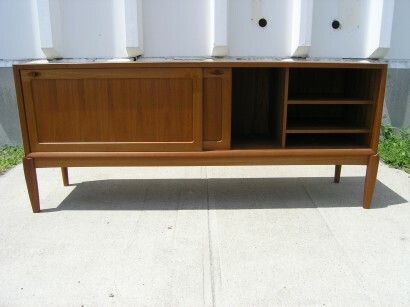 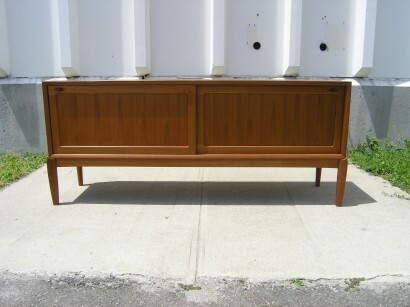 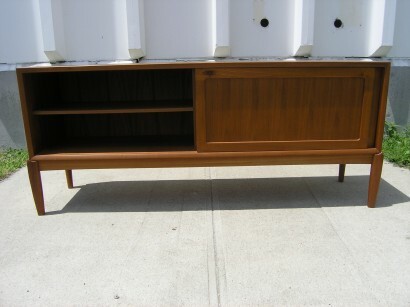 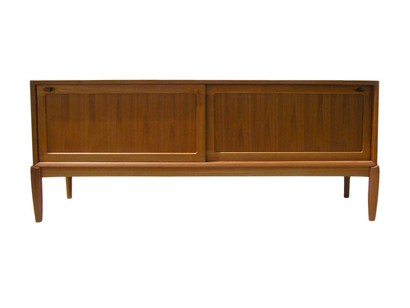 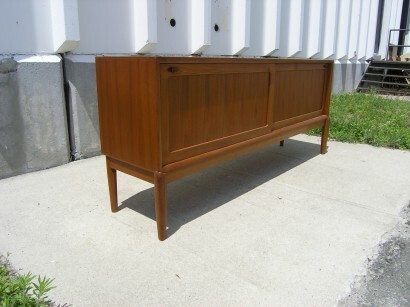 This beautiful teak sideboard has two sliding doors which open to reveal roomy shelving. 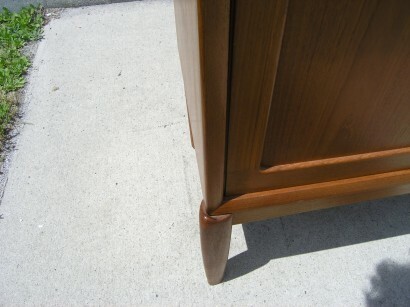 Excellent craftsmanship and details make this piece a focal point in any setting. 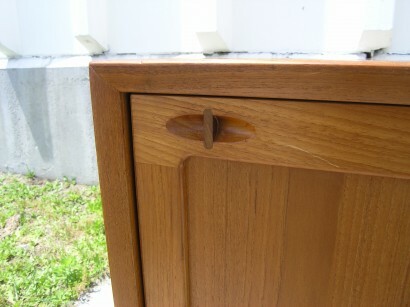 Height: 32", Width: 75", Depth: 17.75"